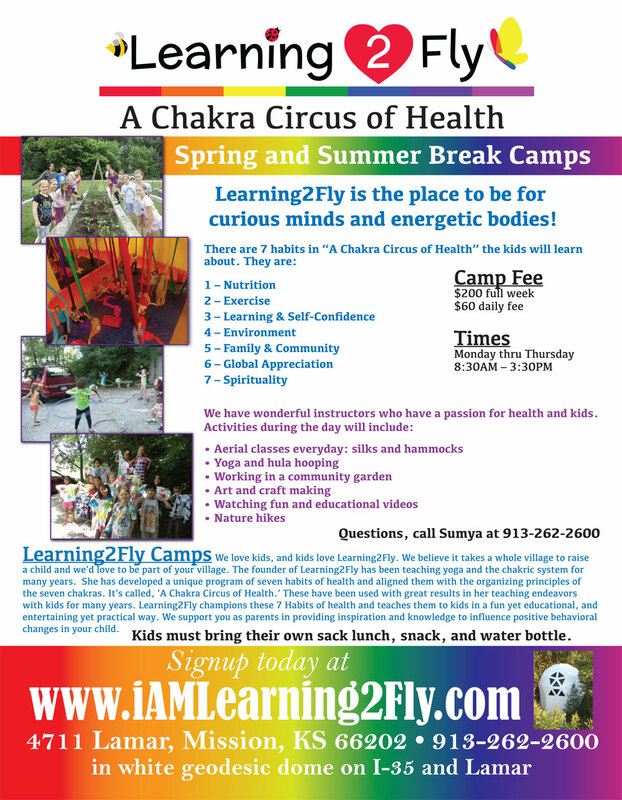 Camp Fee: $200 for the week or $60 per day. 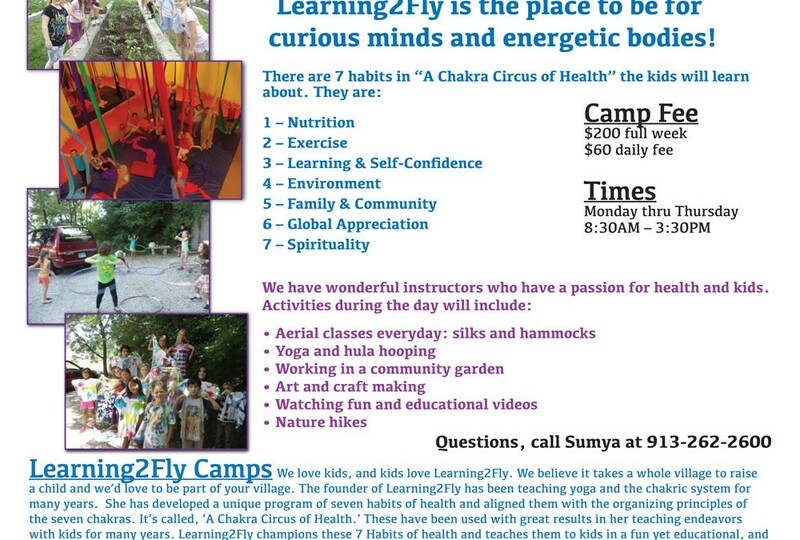 Theresa Goodman is our wonderful instructor. 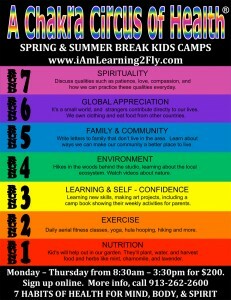 Learning2Fly is the place to be for Summer Camp. 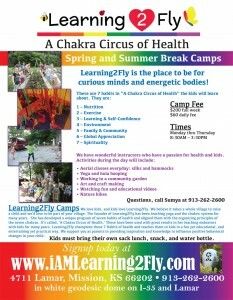 There are 7 habits in “A Chakra Circus of Health” the kids will learn about.